Feel Good. Look Better. Stay Fit. All Levels. All Regions DVD. 87 minutes. 12 exercises. It’s a fact of life: you’ve got to keep moving. If you don’t use it, you lose it. And, it’s been proven that people who exercise their bodies and minds daily feel better, look better, and age better. Awaken your body and refresh your mind with these short bouts of ballet. Choose from four different ten-minute breaks, each with four ballet exercises choreographed by Finis Jhung to the soul-stirring, heart-pounding orchestrated music of Scott Killian. 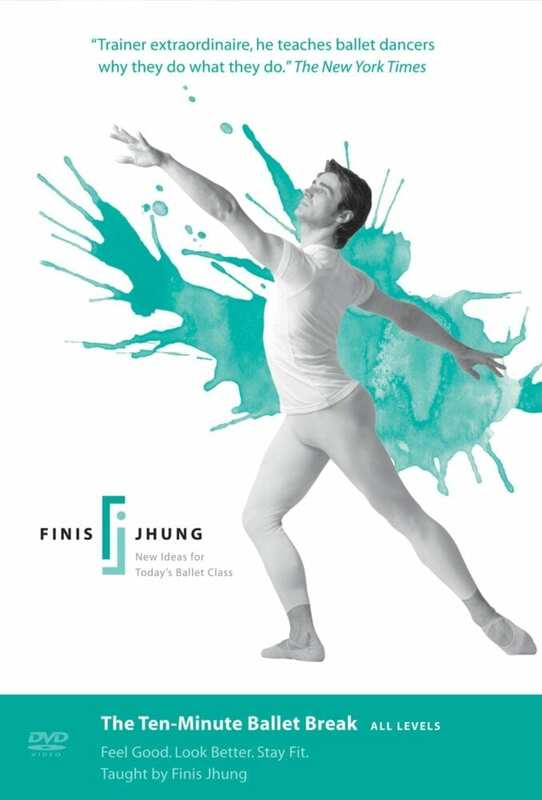 Finis presents each exercise and gives pointers while Antonio Carmena, the critically-praised soloist of The New York City Ballet, demonstrates. To live is to dance. The CD music is by Scott Killian.